Our friends at The Beveridge Family Foundation have offered us a challenge: if $50,000 is raised by the end of August, we will receive a $25,000 capping grant. If you make a gift today, you can help us leverage another tremendous donation. Your gift will help us reach the goal. Will you make a gift today? Cooley Dickinson Hospital has a long tradition of working hard not only to meet the health care needs of the communities we serve, but to offer a standard of health care that exceeds people’s expectations of a mid-size community hospital. Continuing in this tradition, the new Breast Center at Cooley Dickinson, opening in July 2017, will bring together cutting edge diagnostic capabilities and our dedicated, highly accomplished staff into a single, attractive, easily navigable, patient-centered environment where clients receive consistent, timely, and high-quality health care across the breast care continuum. The Center will provide a multidisciplinary approach to breast health and breast care for all patients, with comprehensive services including breast exam, breast screening, diagnostic breast imaging, biopsy and wire localization, ultrasound, and bone density. Chief Development Officer Diane Dukette discusses the new Breast Center on WWLP’s Mass Appeal. According to the Centers for Disease Control and Prevention, breast cancer is the most common cancer among women in the United States, aside from some kinds of skin cancer. Breast cancer death rates among women are higher than those for any other cancer, except lung cancer. Approximately one in eight American women (about 12%) will develop invasive breast cancer over the course of her lifetime. Among men, the lifetime risk of breast cancer is about 1 in 1,000. According to the Massachusetts Cancer Registry, the incidence levels of breast cancer in Hampshire County are actually higher than that in the overall state of Massachusetts. 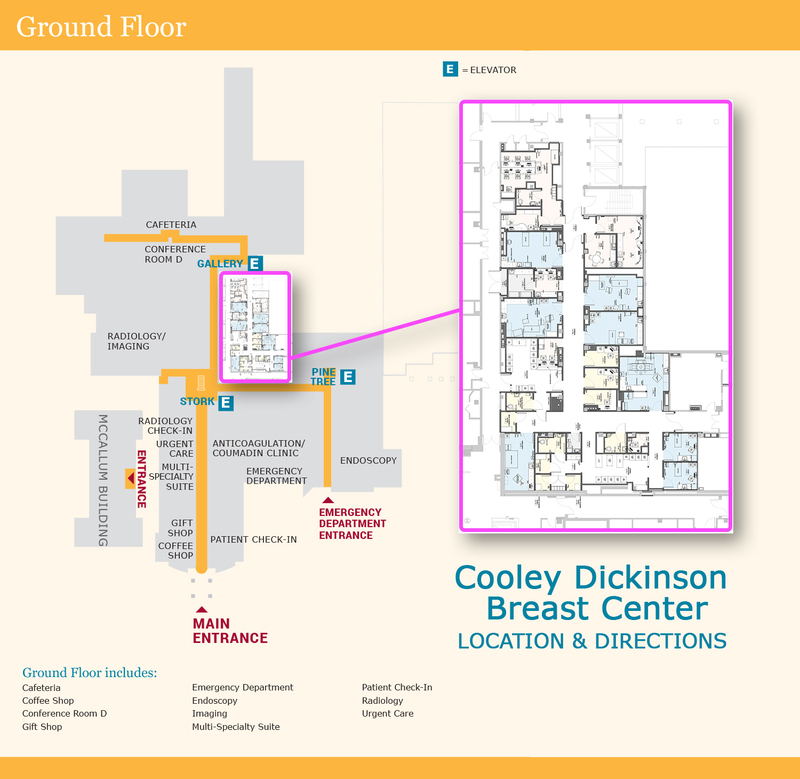 At Cooley Dickinson Hospital, breast cancer comprises 28 percent of all cancers diagnosed and/or treated in our community hospital; 49 percent of women and 2 percent of men treated for cancer at Cooley Dickinson are treated for breast cancer. Early detection through mammography screening and diagnostics is the best way to save lives. Optimizing state-of-the-art technologies, the new Center will focus on rapid evaluation and diagnosis of those with abnormal exams and breast masses. Offering some of the most sophisticated breast imaging technology in western Massachusetts, CDH is the only hospital in our region with Hologic’s Selenia Dimensions 3D mammography equipment, known for its phenomenal quality images. Better images translate into better diagnostics the first time, reducing the need for unnecessary call-backs by over 25 percent. We have the equipment and staffing to conduct stereotactic biopsies, which are minimally invasive, while maximally effective. Our compassionate staff, many of whom have been with CDH for decades, are known for being extremely skilled and personable. In fact, our most recent patient satisfaction scores in mammography continue our strong trend at 94.16 percent. Yet, while our technology is state-of-the-art and our staff are top-notch, our breast care services are not housed in the best of spaces and are spread out in the hospital. Furthermore, patient access to our services has been less than ideal. Staff are particularly excited about this project. The bright, welcoming space will offer appropriately sized examination rooms and greater ease of movement. Designated changing rooms for women and men, separated to afford greater privacy. The patient-friendly environment will help reduce fear and anxiety, thus encouraging more patients to seek out these important, preventive services.